Personal Care | Assistance with personal care, washing and dressing at home. Completing everyday tasks can sometimes be challenging and at Loving Angels Care we want to make your life easier. 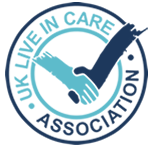 Personal care can be sensitive and it is our priority to ensure you receive the right support whilst maintaining your privacy and dignity. Loving Angels Care's experienced and supportive care team wants to fully understand your personal care requirements and will work closely with you to build a support plan that you are completely comfortable with.